Harold Phillips was born November 28, 1943 in Birmingham, AL, to Elton Lewis Phillips and Laura Lee Phillips. He grew up and went to school in Mansfield, OH. Harold graduated from Mansfield High School in1962. He called himself a "Hell of a football player." In 1962 Harold enlisted in the U.S. Army where he received training as a paratrooper. Harold's tours of duty included Fort Jackson, SC, Fort Benning, GA, Fort Bragg, NC, Okinawa, Japan, and Vietnam. Harold served honorably and left the Army as an E-4 sergeant First Class in 1967. After serving his country he moved to Evanston, IL in 1967. 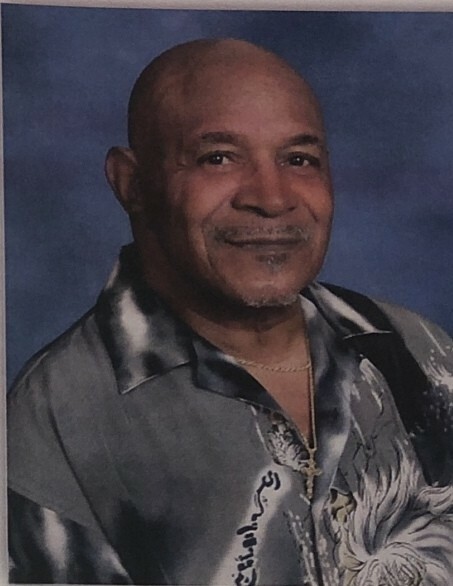 Harold worked for 27 years as a Bus Driver for Robinson Bus Company and All Town Bus Company. Harold was an avid bowler for years until his health failed. He bowled in national tournaments as well as local leagues earning numerous trophies and patches. Harold also loved music! he was a avid collector of all genres of music. Harold accepted Christ as his Lord and Savior at an early age. He was a dedicated servant for God, to his family, and to his church. Harold has been a loving member of Second Baptist for over eleven years. He was a men of God and a master at being slow anger. Others well describe him as caring, welcoming, encouraging, respectful, and most importantly one of the most loving people we knew. He would profess his faith and loved for the Lord to anyone who would listen. He would always tell us "Baby, put it in GOD'S hands." On Sunday, October 28, 2018, Harold Phillips completed his life's journey and answer God's call from labor to reward. Harold is proceeded in death by his mother and father, Brothers: Elton Phillips, Jr. and Jerry Phillips; Sisters: Elizabeth Vaughn, Catherine Wilkerson, Nellie Cline, and Juanita Logan. He serviced by his Daughter Heidi Phillips (SC); four grandchildren: Melinda, Laura, BJ, and Ashley; brother David Phillips (NV), Nieces: Wanda Taylor (CA), Deborah Higgins (IL), Toni Coleman (GA), Phyllis Kendrick (AL), Kathy Palmer, Perris Jackson, Greela Harrison (OH), Stephanie Yancey, Barbara Hickman, Karen McNeil (MO); Nephews: Roy Rice (MO), James Vaughn, Donald and Paul Cline (IL), David Phillips, Jr., Tony, Ernie, Marcus (OH). Robert (VA); Eleven Great Grandchildren; and a host of cousins and friends. WE LOVE HIM BUT GOD LOVES HIM BEST!